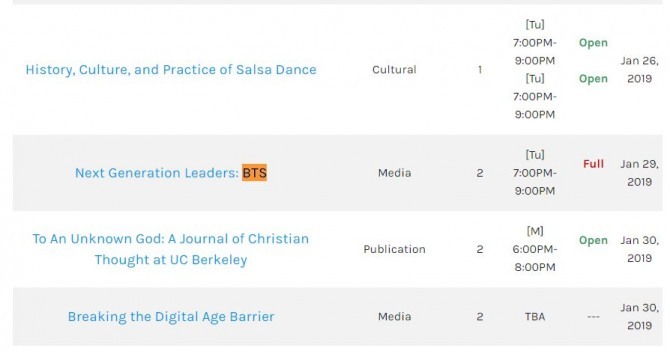 A student-run academic course introducing K-pop icon BTS and delving into its global success has been established at University of California, Berkeley, the university’s website showed Friday. The course, “Next Generation Leaders: BTS,” awards two units and has been opened as part of the Democratic Education at Cal program. DeCal allows students to take initiative in facilitating and designing courses. 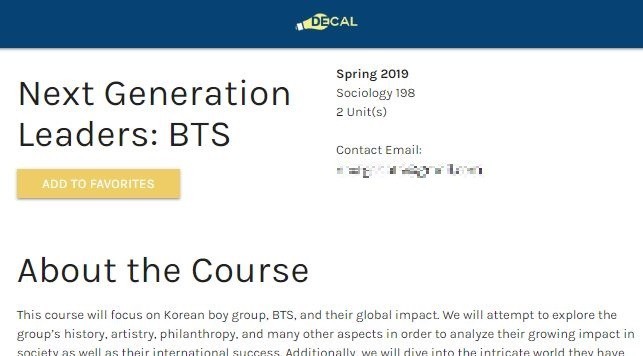 According to the course introduction on the program website, it focuses on BTS’ global impact. 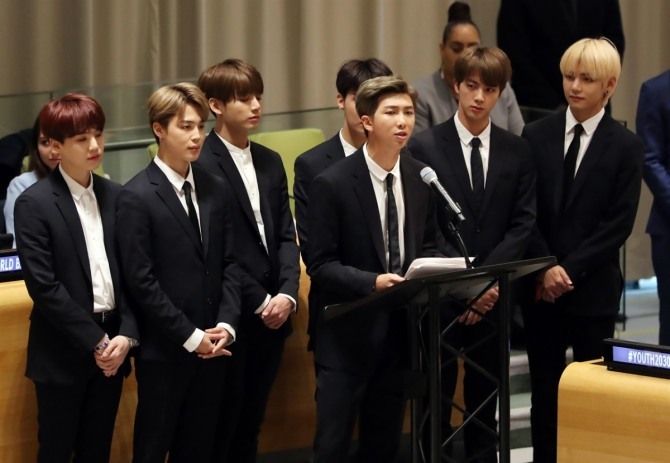 Students will attempt to “explore the group’s history, artistry, philanthropy, and many other aspects in order to analyze their growing impact in society as well as their international success.” In addition, students will investigate what is known as the “Bangtan Universe,” the intricate world the K-pop idols have created through their album concepts and videos. Students enrolling will not only absorb lectures and watch videos, but also engage in group discussions, taking a critical approach with encouragement to create their own theories on the boy band’s success and popularity. More information on the course, which is shown as being at full capacity, can be found at the DeCal website, decal.berkeley.edu. On Sunday, BTS is set to become the first Korean group to present an award at the 61st Grammy Awards at the Staples Center in Los Angeles.